Microsoft released the preview version of Skype for Business client last week and by the look of it, it seems to have a make over session from Skype department. Even though it now comes with a flashy new skin, from under neath it hasn’t changed much from it’s predecessor. At a glace, it has the same tabs that’s Lync client had except for more “Skype” like icons. In fact, the “Recent Calls”, “Dial Pad” and “Calendar” features are exactly as it is compared to the Lync client. The tabs are how how it should be and nothing much to improve in that front. There hasn’t much changed in “Options” apart from changing all the reference from “Lync” to “Skype for Business”. Having said that, Microsoft have made some significant changes to the way that client reacts while on a call. They moved away from much confusing “Hover” concept on to more back to basic “Click” option which made life much easier for everyone. Now, transferring a call is just a matter of few clicks. Another excellent feature that came from Skype, is the call control menu on desktop while the conversation window is minimised. The small window comes up with Mute and Hang up button when the main window is minimised and it change the picture based on the active speaker. It would have been excellent if Microsoft went an extra mile and add Call Transfer and Hold buttons in to it so that it looks more complete and would be ideal for a reception user. 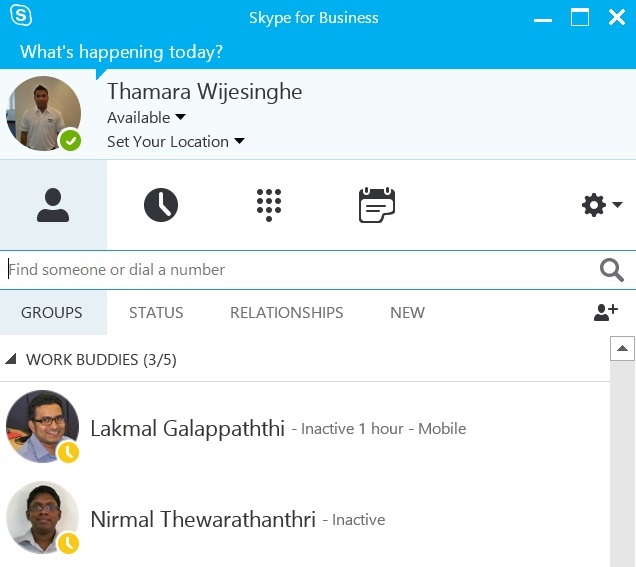 Further more to the improvements, the Skype for Business client now have animated emotions just like Skype does and introduced new set of tones including a new ringing tone. The back end server i was testing the client with was, Lync Server 2013 server platform and there are no complaints about the functionality. The other and most anticipated change would be the SILK codec activation. SILK is the codec that Skype use which enables it to sustain an audio call with a better call quality even the internet connection is not that good. 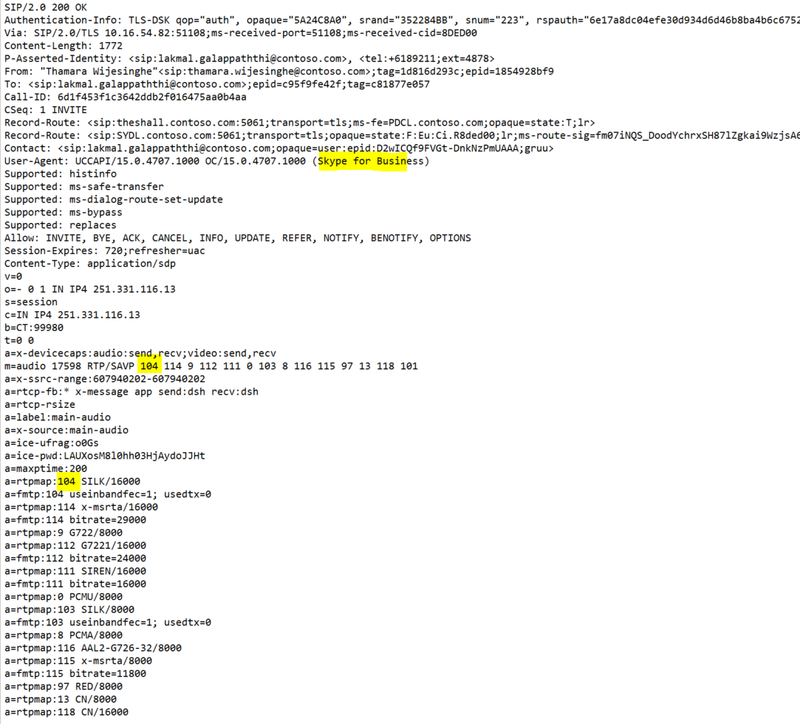 Even in Lync 2013 client, SILK was there in the SDP list but, it didn’t participate in an active audio conversation. Even in a call between Skype and Lync 2013, it used G.722. In Skype for Business client, it’s all SILK. So to test this, I made a call between 2 Skype for Business preview clients and it does seems to be settling for SILK instead of G722 or RTA, unlike the typical Lync 2013 client would do. So where is the full and final client coming from?. Unlike Lync 2013 client which came along side with Office 2013, Skype for Business client delivered as an update to the existing Lync 2013 client. This update scheduled to roll out in 14th April. The default UI for those who use Lync today will still be Lync 2013 even after running the update. If you want to change the UI to Skype for Business, then there is a switch available in Client policy that can enable the Skype for Business UI. It is already been published for Skype for Business online and still waiting for Skype for Business on premises. In brief, it does look good that the Lync client and well presented. But underneath, old “Lync” spirit is pretty much alive and kicking with addition the of SILK. The Skype for Business server is rumoured to be out in early May and we all can look forward to an exiting time ahead. The Skype for Business Preview client can be downloaded from Microsoft Evaluation Centre.